Have you ever had fusion cuisine? It’s basically taking two different ethnic cuisines and combining them together. It’s been rather popular lately and while I haven’t made any fusion cuisine, I’ve certainly eaten enough of it. 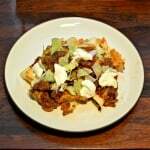 Two of my favorite cuisines are Mexican and Italian. We probably eat Italian once a week and Mexican once a week. We really like them both so I starting thinking about how I could combine the two into one delicious dish. 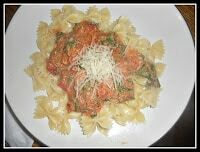 I was playing around with the idea of using salsa as a sauce for pasta when the idea hit me. 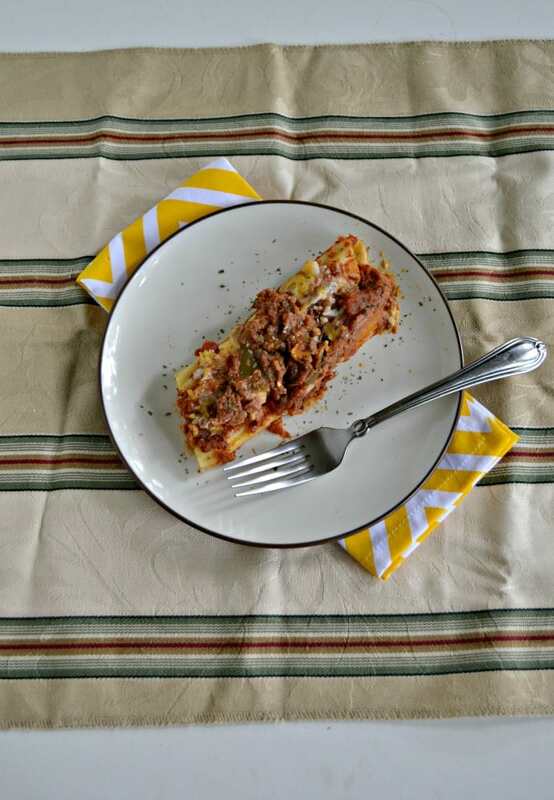 Mexican Stuffed Manicotti….and so I rolled with it. I started with the sauce. I use Sabra homestyle salsa along with tomato sauce and cumin to make a tasty and slightly spicy sauce. Then I started on the filling. I kept thinking ground beef with taco seasoning and cheddar cheese but then I realized I needed something to bind it all together. Keeping with the manicotti theme, I opted for ricotta cheese. 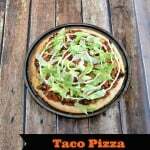 It doesn’t have a real strong flavor so it actually took on the flavors of the taco meat. I made the manicotti as I would an Italian manicotti. I stuffed it with a filling of ground beef, peppers, and onions with taco seasoning, mixed with the cheddar cheese and ricotta. 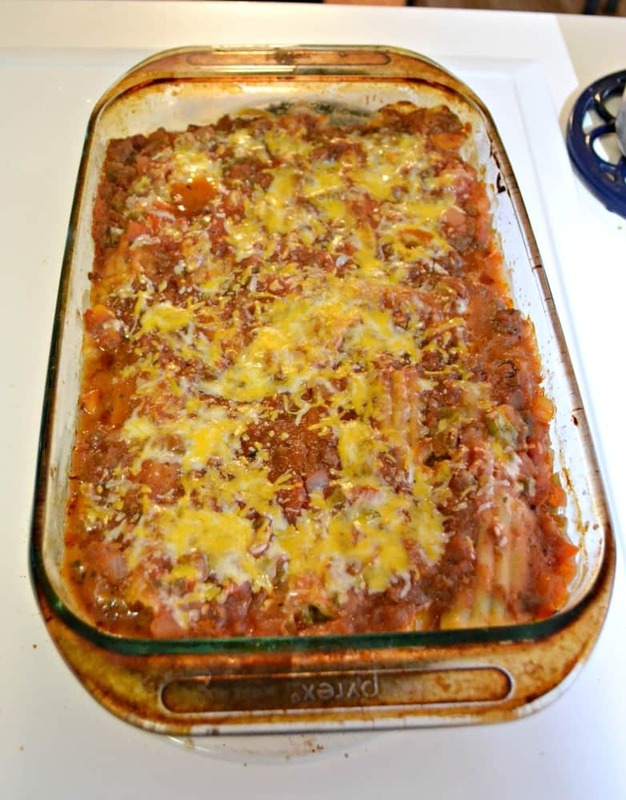 I layered it in a pan, poured the salsa sauce on top, and then sprinkled it with more cheese. It smelled amazing as it cooked in the oven. When it came out of the oven it looked delicious. We actually had a friend over when I made it so I was a little nervous as this was a new creation and they don’t always turn out. Luckily, watching my husband and his friend eat the manicotti I knew they were a winner. 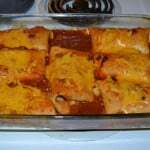 I loved using the manicotti as the shell for this Mexican entree. It was the perfect vessel. When all three of us reached for seconds I knew they were a hit. Manicotti stuffed with Mexican spiced ground beef and vegetables then topped off with Sabra salsa sauce for a tasty fusion cuisine. Cook the manicotti according to the package directions. Place on a sheet on foil to cool. Cook the ground beef in a large skillet over medium heat. Cook for 5-7 minutes or until beef begins to brown. Add in the onions and peppers and cook for 5 minutes. Drain off any fat. Add ½ cup of water and taco seasoning to the pan and cook for 2 additional minutes. Remove from heat. In a large bowl combine the ricotta cheese, 1 cup of cheddar cheese, and the jalapenos. Stir in the warm meat mixture. Mix well. 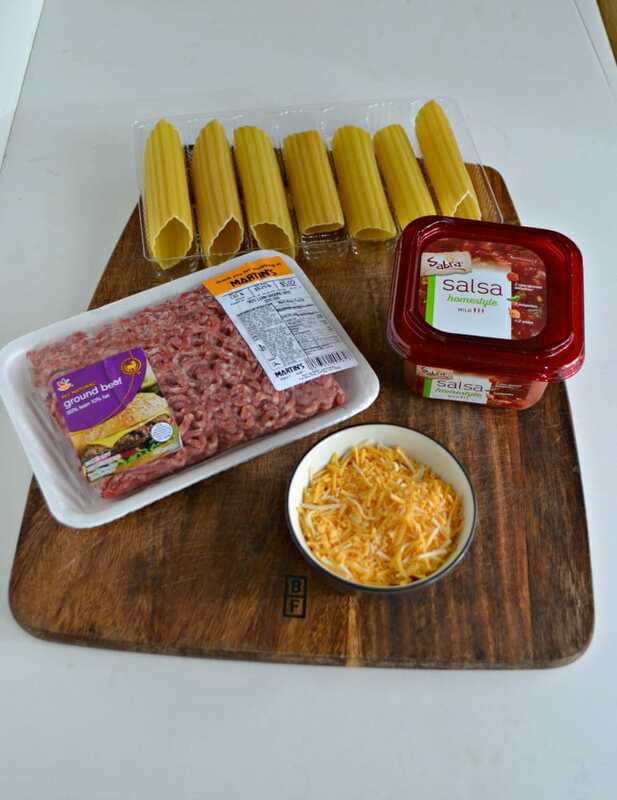 Stuff the manicotti with the meat and cheese mixture. Place manicotti back on the foil once they are stuffed. In a saucepan, combine the Sabra salsa, tomato sauce, cumin, and garlic cloves. Cook over medium heat, stirring frequently, for 5 minutes. Remove from heat. Spoon 1 cup of the sauce into a 9 x 13 pan. 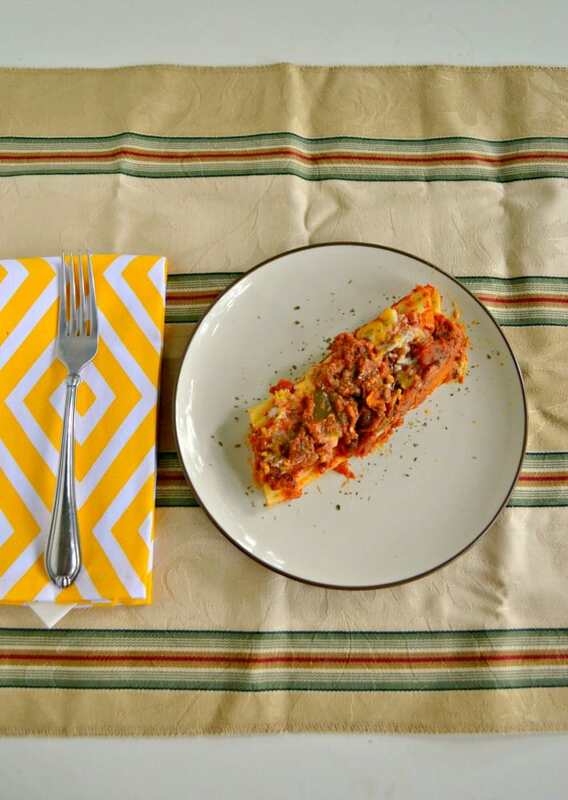 Arrange the manicotti in the pan, on top of the sauce, in a single row. Spoon the remaining sauce over top of the manicotti. Sprinkle with remaining cheese. Cover the pan with foil and bake for 15 minutes. Remove the foil and bake for an additional 15 minutes. Remove from oven and serve hot. This post sponsored by Sabra but all opinions are 100% my own. Italian and Mexican. Ha. I love it. Two of my favorite meals too. 🙂 I have never seen the Sabra Salsa I feel like at our HEB here in town. Where is it in the stores? By the hummus or somewhere else? The salsa is in the refrigerated section. I’ve found it in the produce department and also near the hummus. Oh. My. Goodness. That looks and sounds so incredibly fantastic! I also love Italian and Mexican. I need to try this for sure. Holy Smoke! You’re a GENIUS! Thanks! 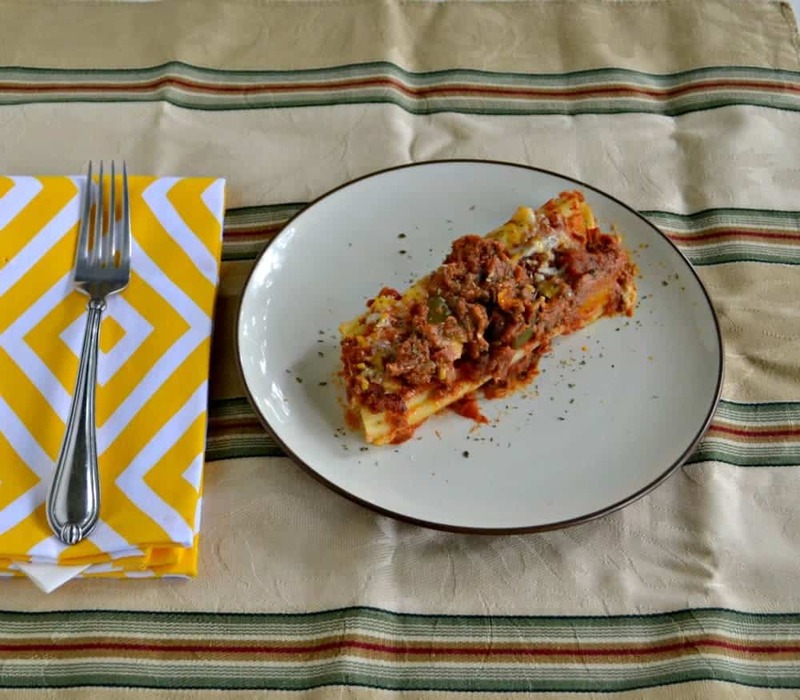 It’s the perfect Italian/Mexican combination meal!